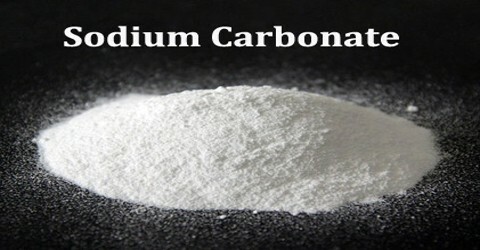 Sodium Carbonate is a colourless or white odourless soluble crystalline compound existing in several hydrated forms and used in the manufacture of glass, ceramics, soap, and paper and as an industrial and domestic cleansing agent. It is made by the Solvay process and commonly obtained as the decahydrate (washing soda or sal soda) or a white anhydrous powder (soda ash). It is hygroscopic, meaning that it has a tendency to absorb moisture from the air. 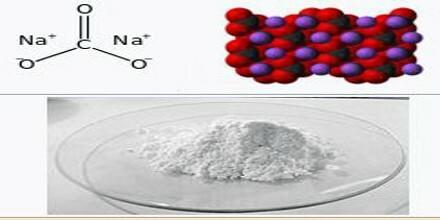 It also exists as the monohydrate (Na2CO3·H2O) and as the decahydrate (Na2CO3·10H2O), each with slightly different physical properties from those of the anhydrous salt. It is well known domestically for its everyday use as a water softener. The manufacture of glass is one of the most important uses of sodium carbonate. Sodium carbonate acts as a flux for silica, lowering the melting point of the mixture to something achievable without special materials. This “soda glass” is mildly water-soluble, so some calcium carbonate is added to the melt mixture to make the glass produced insoluble. This type of glass is known as soda lime glass: “soda” for the sodium carbonate and “lime” for the calcium carbonate. Soda lime glass has been the most common form of glass for centuries. Chemically, the utility of sodium carbonate is largely as a cleaning agent. Commonly known as “washing soda,” or “soda ash,” it’s a water softener and helps laundry detergents to lather more effectively, particularly when the water in which the laundry is being washed is hard, meaning that it contains magnesium or calcium salts. As Dr. Martin Silberberg explains in his book “Chemistry: The Molecular Nature of Matter and Change,” the carbonate from sodium carbonate helps free soap molecules in hard water and increases their effectiveness. It is similar in chemical formula to both baking soda and chalk. It’s more basic than baking soda, however, which makes it caustic and potentially harmful if swallowed. It’s more water soluble than chalk, which doesn’t dissolve well in the body. According to the “CRC Handbook of Chemistry and Physics,” it’s a crystalline white solid at room temperature, and has a melting point of 1564 degrees Fahrenheit. Sodium carbonate can absorb water from the air, making it decompose at lower temperatures. The sodium carbonate is extracted from this mixture and purified. The Leblanc invention was one of the great breakthroughs in the early years of chemical science. The most common household sources of sodium carbonate are detergents and cleaners. 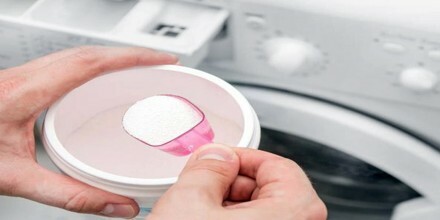 Many laundry soaps and dishwasher detergents include sodium carbonate as an ingredient, notes MedlinePlus. Some bleaches also include the chemical, although more commonly bleach is chlorine-based. 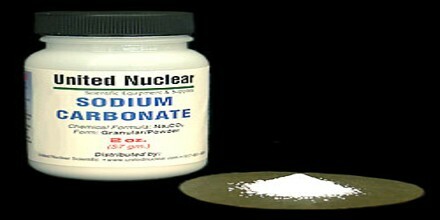 Since the products in which sodium carbonate is an ingredient generally include many toxic components, it’s sometimes difficult to separate the effects of sodium carbonate from the effects of other molecules, but suffice it to say, sodium carbonate-containing cleaners should be considered poisons. Sodium carbonate is also used as a relatively strong base in various settings. It is a common additive in swimming pools used to raise the ph which can be lowered by chlorine tablets and other additives which contains acids. To clean and disinfect with sodium carbonate, the Environmental Protection Agency (EPA) recommends using 2 ounces per gallon of water. This solution can be used to clean hard, non-porous surfaces, such as floors, walls, bathtubs, tile and grout, etc. It is considered an irritant at concentrations below 15% and caustic above 15% according to the EPA, so keep this in mind when mixing your own cleaning solutions with it. In chemistry, it is often used as an electrolyte. 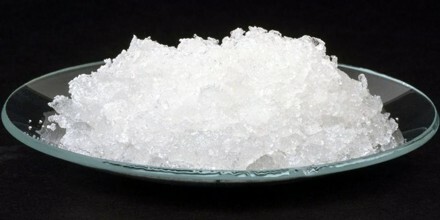 Electrolytes are usually salt-based, and sodium carbonate acts as a very good conductor in the process of electrolysis.